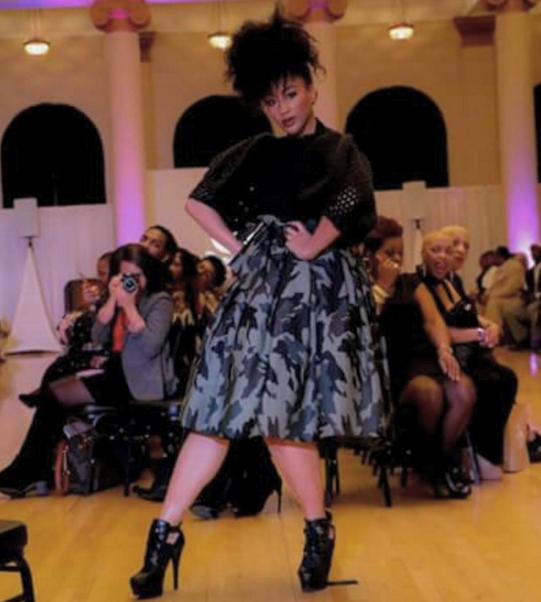 Black Fashion Week USA (BFW) Chicago took the city by storm last week, hosting a week’s worth of events that catered to not only fashion, but scholarship, culture, and health and fitness. Melody Boykin, the “think tank” behind BFW Chicago planned and completed for the second time around an amazing fashion show and week of events. This being the second annual BFW in Chicago says a lot about how BFW Chicago will advance in the coming years with designers, sponsors, and possibly other venues in other the cities. Not to mention, this year’s events were highly influenced by well known celebrities, designers, photographers, models, hair stylists, and make up artists. The designers for this year’s finale show we Akese Style Lines, Anjel’s Boutique, Bryan Osburn Collections, Catou, Dream Designs, Girl Code Boutique, Teresa Fe-Fe Designs, The Ivory Collection, and Yamaia. All of these designers come from different paths of lives and have different design styles, but they all have one major similarity, fashion. The final two days of the week’s events ended with a panel discussion, luxury fashion show, kids mini fashions show, and of course, the finale. The finale left many members of the audience in utter awe. This year’s line up of designers did not cut any corners, (literally) when designing the different ensembles. There were designs, cuts, styles, and materials for men and women of different sizes and shapes. There were dresses that clung to the body, jumpsuits with detachable capes/cover-ups, and some that were A-lined. Suits for men were custom by Berny Martin, who named his fashion line “Catou”. Martin says his signature for his line is a back collar stripe, contrasting fabric cuffs, or peek-a-boo backs on suit jackets. Every piece of clothing that touched the runway struck the attention of bloggers, reporters, the audience, and even assistants for the fashion show. Black Fashion Week USA Chicago showed up and showed out. It was a thrillful experience to sit in a crowd amongst people who care about fashion, black fashion, and that support black models, entrepreneurs, and designers. Black Fashion Week Chicago 2016 was an excellent platform for many people to gather, connect, and even reconnect over fashion, the industry, and have future business endeavors. BFW was a reminder that we as a black community must continue to support one another and push each other to fulfill our dreams. The support shown at the event was absolutely amazing and we at Whats The Word TV cannot wait to see what is in store Black Fashion Week USA – Chicago 2017.